Our own Sun is destined to become a crystal white dwarf in about 10 billion years. 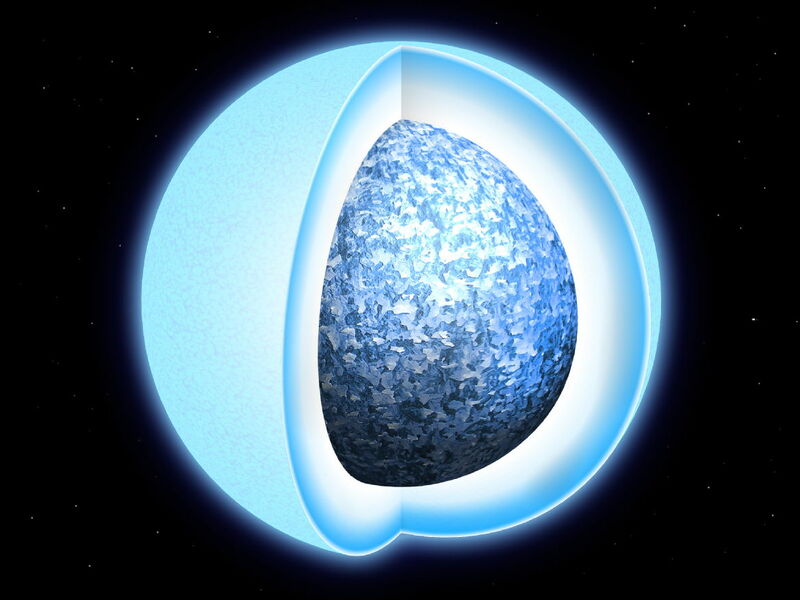 The first direct evidence that white dwarf stars form crystal cores of metallic oxygen and carbon has been found. Crystallisation delays cooling processes, meaning that some stars could be billions of years older than previously thought. The oldest white dwarfs, nearly the age of the Milky Way, are likely to be almost fully crystal.